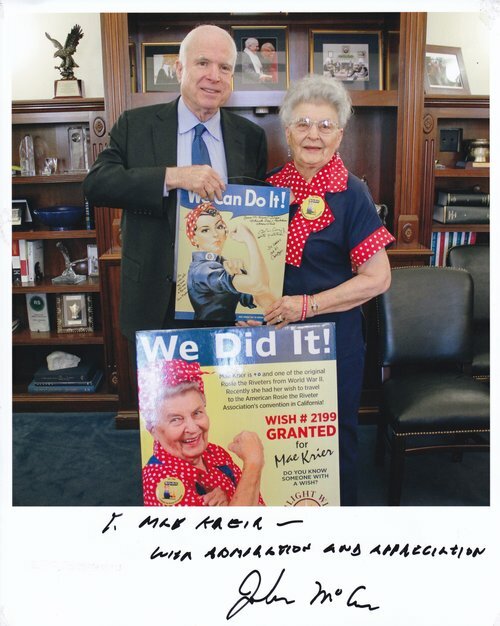 Support the Rosie the Riveter Congressional Gold Medal Act of 2018. 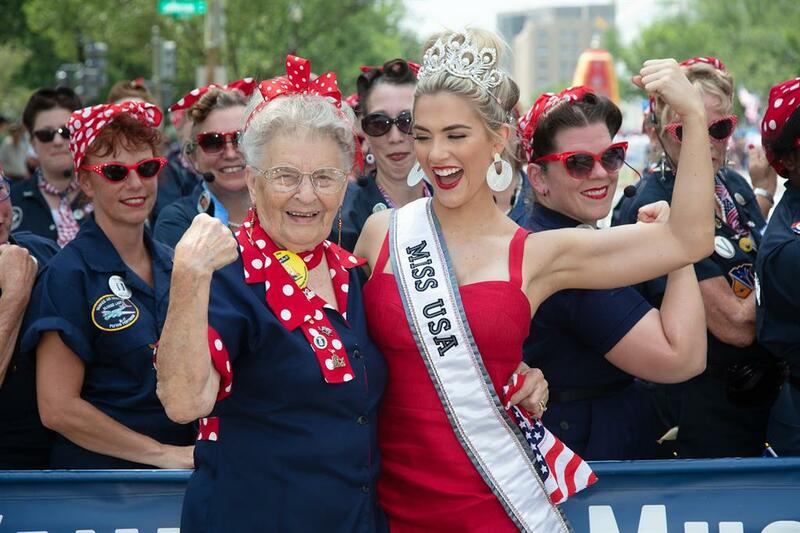 Mae Krier, 92, one of the youngest of the original Rosie's, when she was hired by Boeing in Seattle, WA, to work as a riveter building B-17 and B-25 bombers. 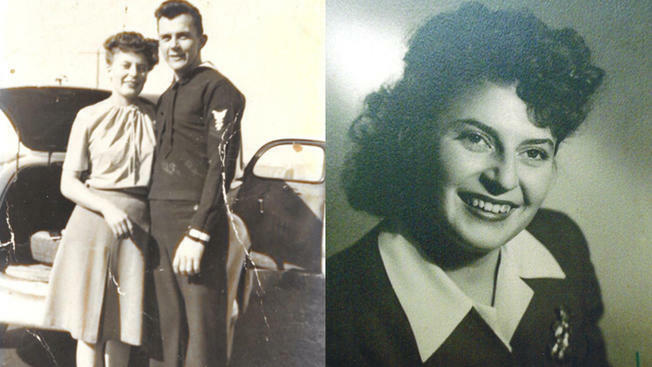 Mae with her husband, Norm, and as a young Rosie. 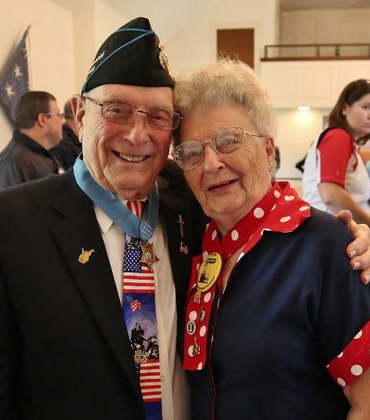 In her own words... "I met my husband, Norm, on the dance floor at the Servicemen's Center in Seattle, Washington in 1944. He was a great dancer. We were married just 8 days after Roosevelt died in 1945, and would have been married 70 years if he had lived a few months longer. 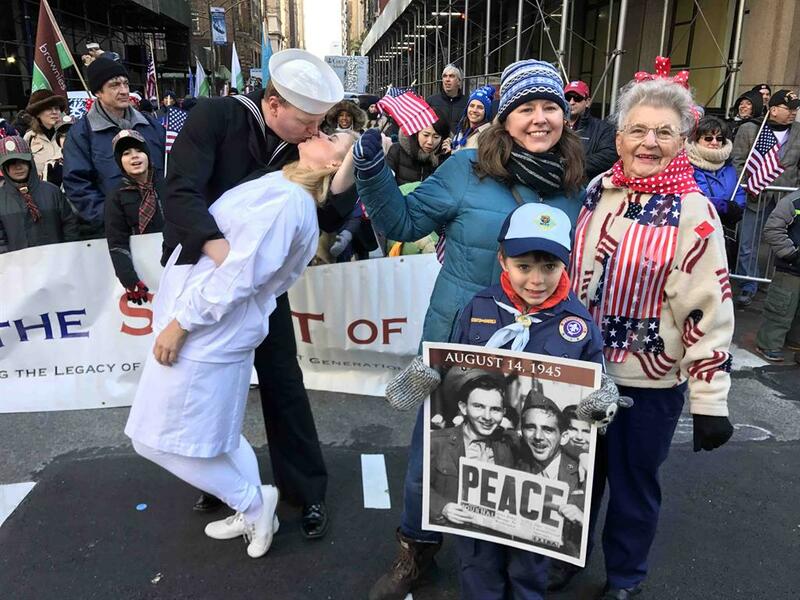 In addition to being one of the original Rosies who married a WWII veteran, I am a mother, a grandmother, a great grandmother and a great, great grandmother with three great, great grandchildren (the youngest of which is a girl who is after me.) My son and daughter have been successful in their lives and are now in the their 70's and retired. I've had a good life and it just seems to continue on. I've been blessed. Doing what I've been doing to get recognition for Rosie's has been a blessing. I get to meet so many nice people and I really enjoy being with them. It is good to have a purpose in life and this program sure has done that for me." 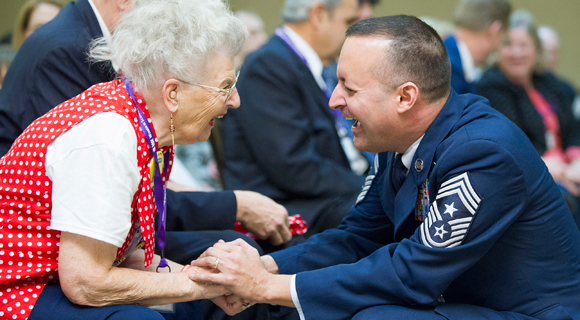 For the past 20 years, Mae has worked tirelessly to educate the public about the role women played on the Home Front during WWII. 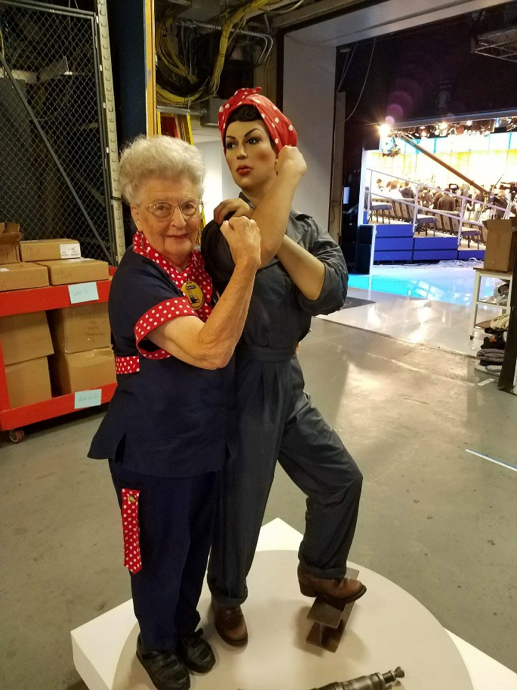 Mae's mission is to ensure that the Rosie's legacy continues to inspire future generations, especially young women who are competing for careers in today's high tech economy. She is also concerned that the surviving Rosies, few of whom received any recognition over the years, are acknowledged by their communities. 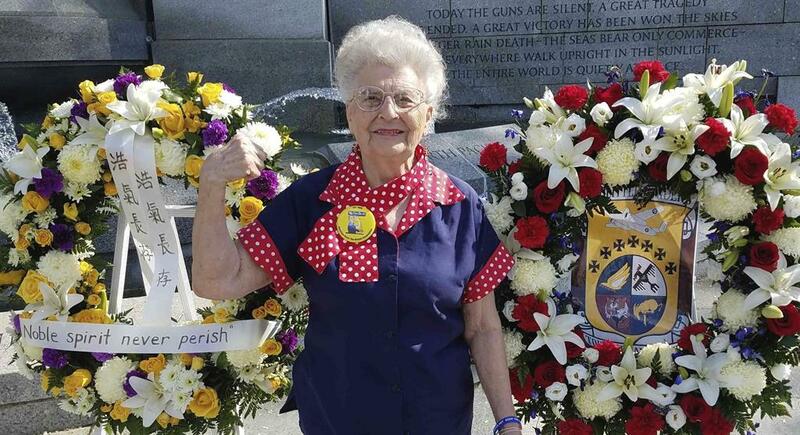 May is a proud member of the American Rosie the Riveter Association. 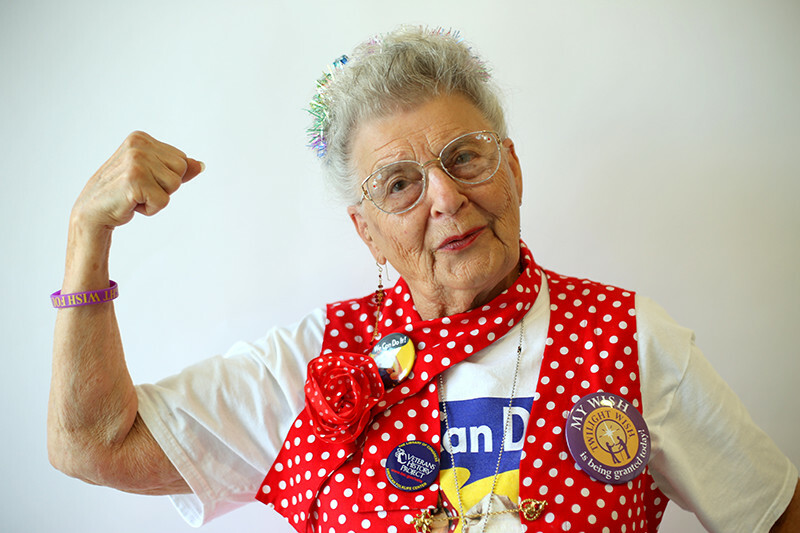 Belying her 95 years, Mae makes personal appearances and speaks at countless events throughout the year. 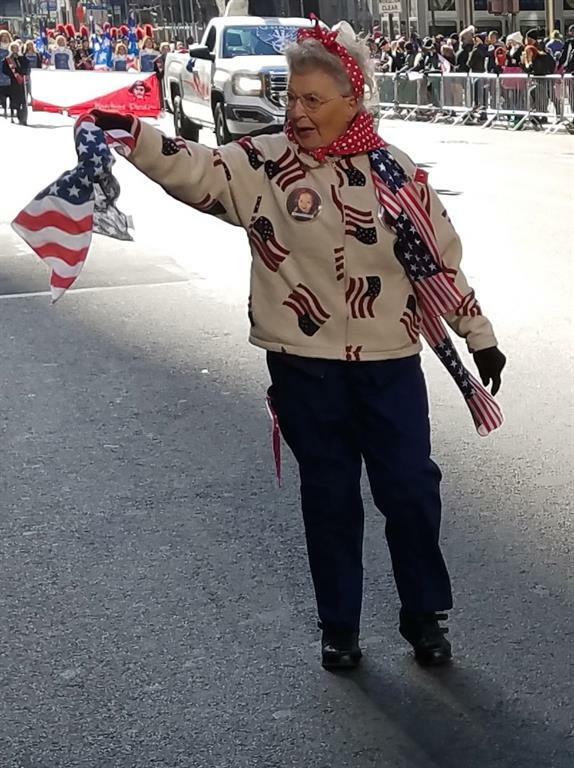 Mae walked at the head of the Spirit of '45 entry in the 2017 New York City Veterans Day Parade. 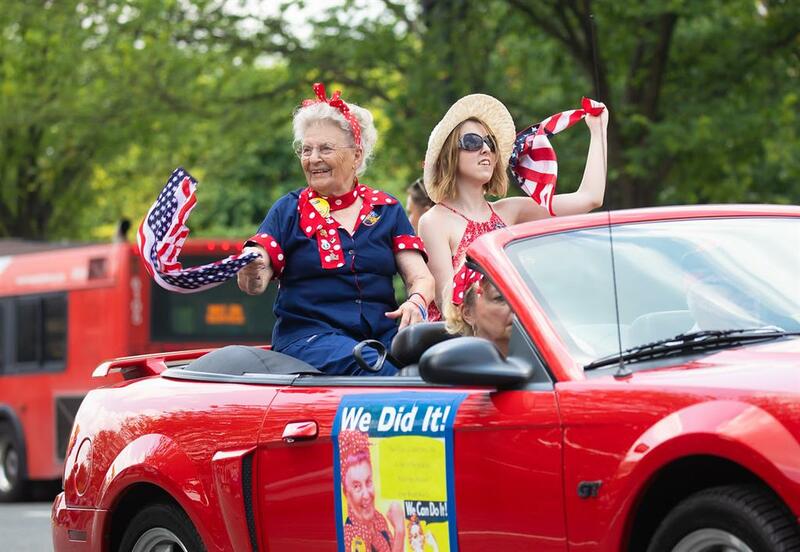 She will return in 2018 to lead hundreds of Girl Scouts dressed as "Rosiettes" who will be marching with photos of WWII veterans and carrying banners promoting National Rosie the Riveter Day and the Rosie the Riveter Memorial Rose Gardens campaign. 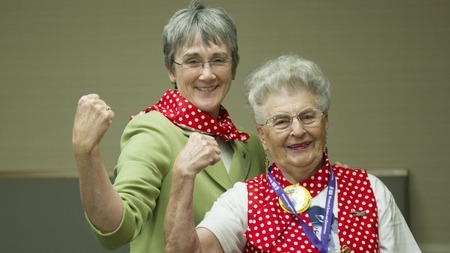 Mae and her fellow Rosie Elinor Otto, 99, are mobilizing Girl Scouts to help create a national network of rose gardens featuring a new Rosie the Riveter Rose to honor their fellow Rosies and inspire a new generation of young women to become all they can be. 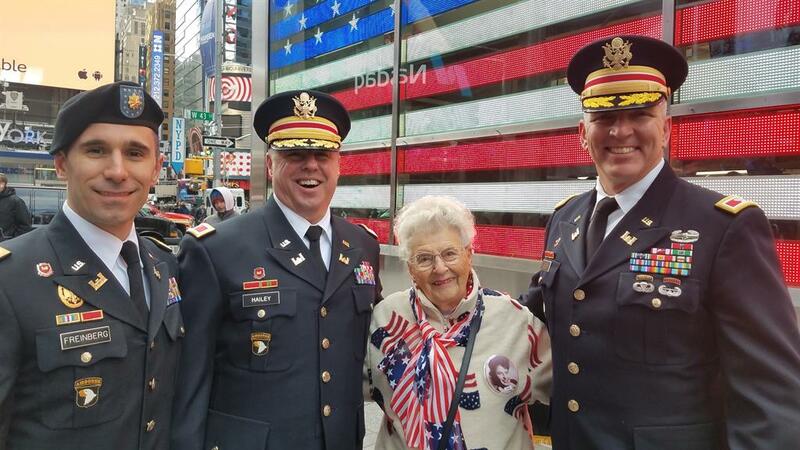 Mae and Elinor and WWII veterans, interviewed by Columbia Historian Dr. Kenneth Jackson during the 2017 Spirit of '45 Day event at the New Yorker Hotel. 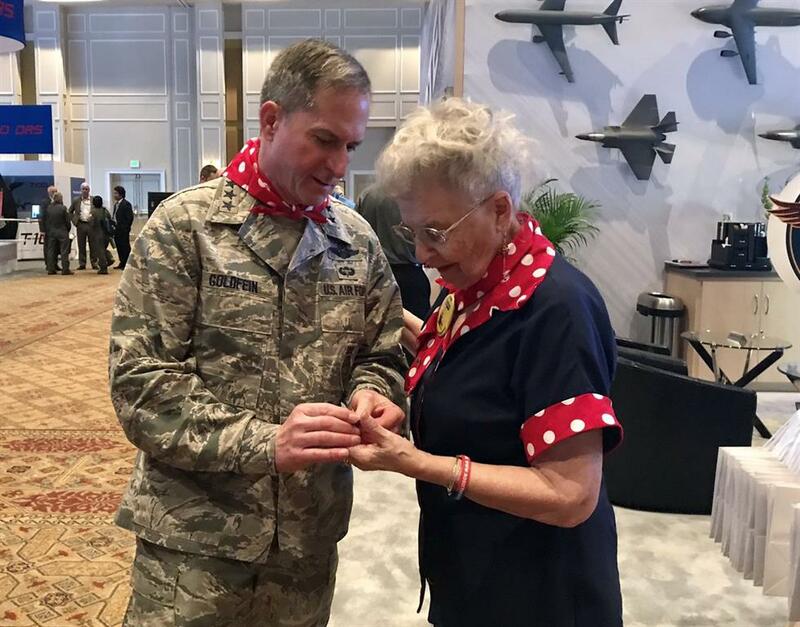 Mae receiving coin from Air Force Gen. Dave Goldfein. Being welcomed to the Air Force Technical Application Center in Florida. 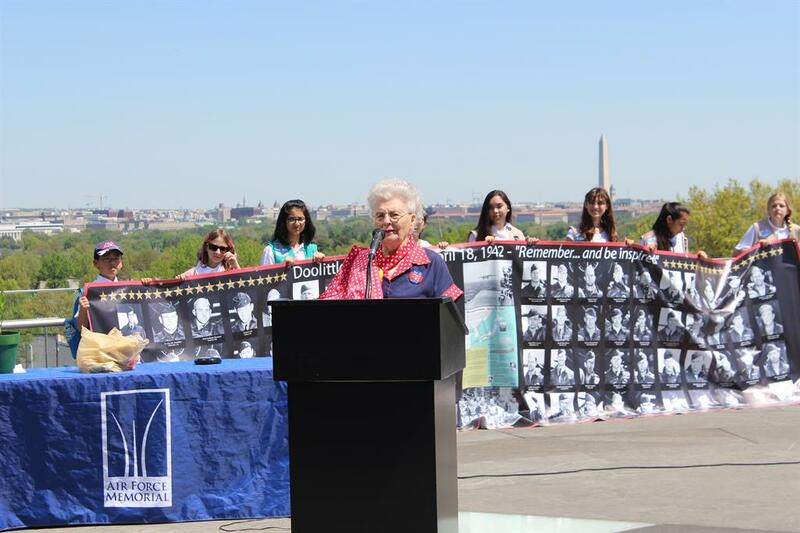 Mae was a featured speaker at the Spirit of '45 commemoration of the 75th anniversary of the Doolittle Raid that was held at the Air Force Memorial on April 18, 2017.